With single leaf opening inwards. 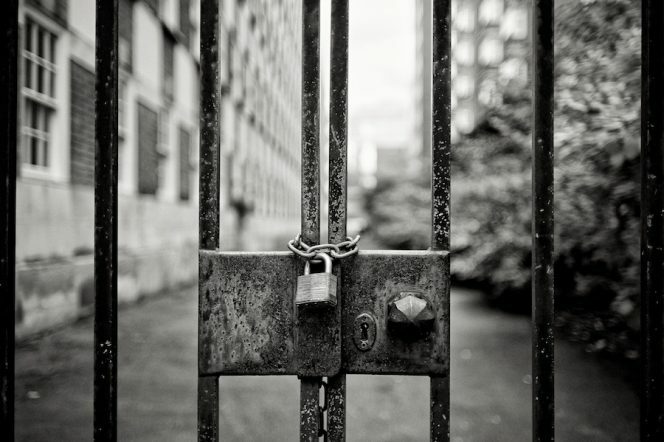 In these cases we recommend the Viro V97 or Block-Out electric locks. The latter, equipped with throw, allows a manual and electric opening and closing. Closing the lock manually will prevent just the electric pulse from unlocking the lock. With two leaves opening inwards. In this case, on the other hand, we recommend the Viro V9083 electric lock with round cylinder or 9087 or V06, both prepared for profile cylinder (European), which is easily replaceable and can be purchased with KA (keyed alike ) or MK (master key) design. An advantage of these locks is in fact that of being able to unify the profile of the gate and entrance door cylinders of the condominium/single-family house, allowing the use of a single key to open different doors and thus considerably reduce the size of the bunch of keys. With two leaves opening outwards. This type of gate is used in the cases where the ground is sloping and the access uphill does not allow the leaf to be opened inwards. 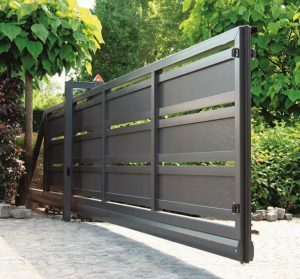 For this type of gate, we recommend the Viro V90 electric lock prepared for profile cylinder (European) and available in two versions for vertical application (item 7928.404) and for horizontal application (item 7928). The advantages described above resulting from the unification of the cylinder profile remain unchanged. 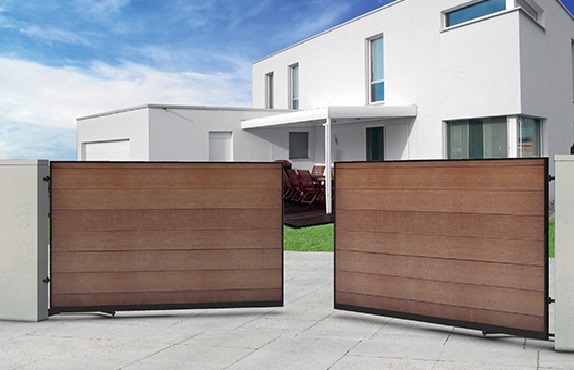 The sliding gate is suitable in all those cases in which the overall size must be limited and the internal space of the courtyard is to be safeguarded. 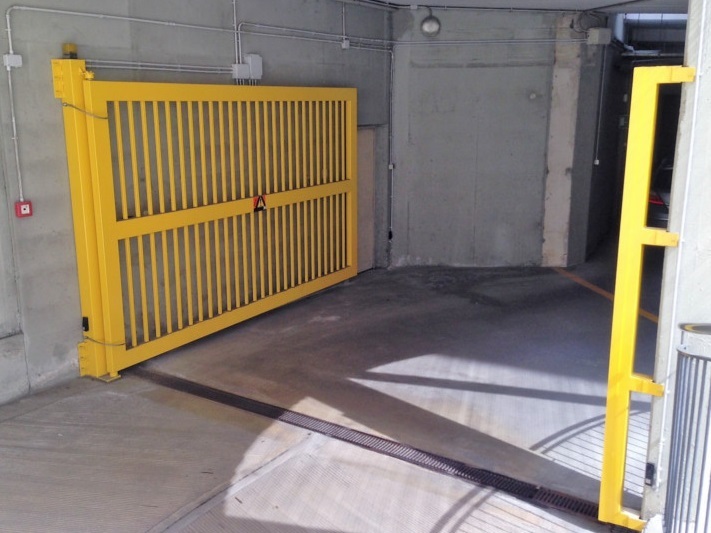 Automatic sliding gate with side opening. 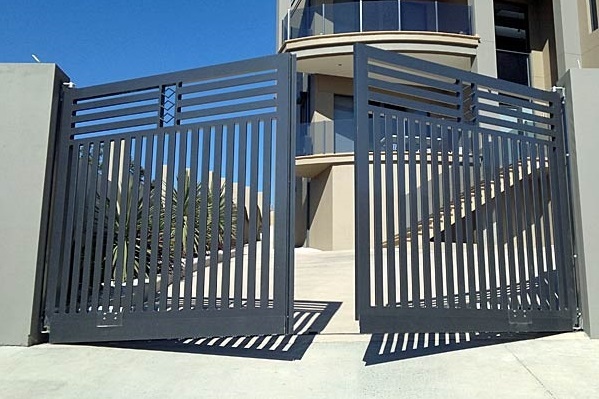 For this type of gate we recommend the Viro V09 electric lock, which is specifically designed with a special rotating spike deadbolt for sliding gates and is also equipped with a profile cylinder that allows the KA or MK design and, therefore, provides the advantages described above.